Spelling. Are you looking for algid or algin? 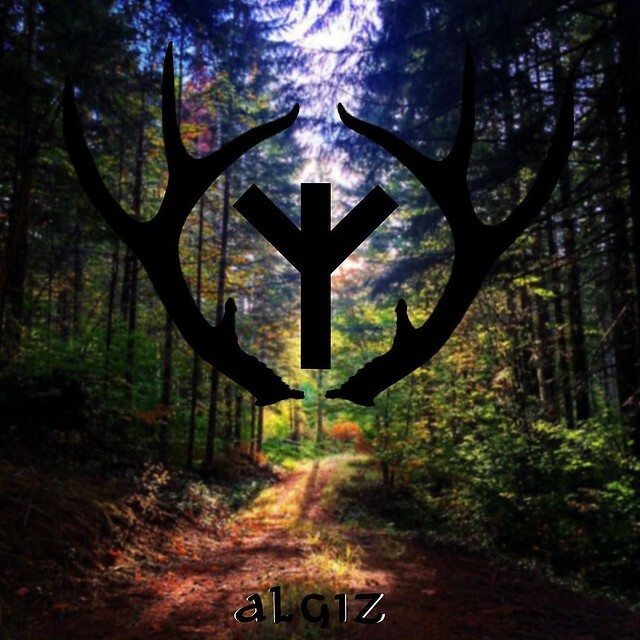 "Algiz" is a musical album of :Of the Wand & the Moon:. Algiz is the name conventionally given to the "z-rune" ᛉ of the Elder Futhark runic alphabet. Its transliteration is z, understood as a phoneme of the Proto-Germanic language, the terminal *z continuing Proto-Indo-European terminal *s.
Invoked, Algiz is an excellent shield, from guarding letters through the postal system to protecting your home. It is also used when you fear a magickal working may have some unpleasant repercussions that you do not wish to deal with. The value of this 5-letter word is 15 points, but it's not an accepted word in the Official Scrabble Players Dictionary. See also the blanagrams of Algiz! Go to the wordplay of Algiz for some fun with words!